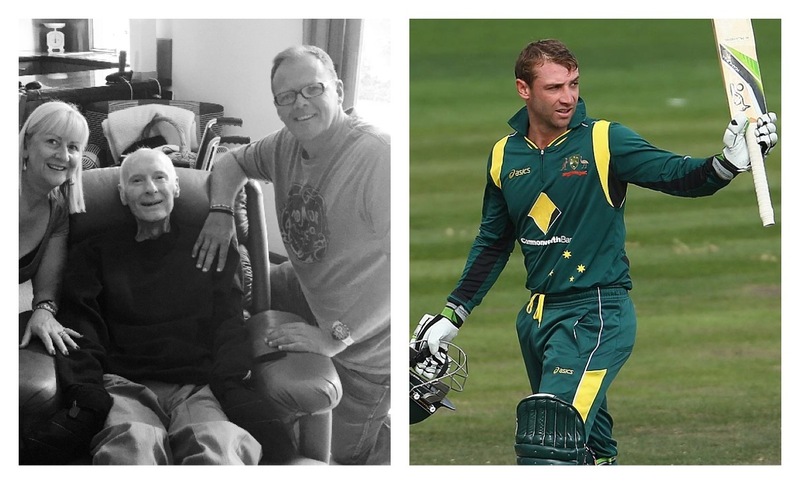 Australia lost one of its national cricket stars last week. For those of you who don’t know much about cricket, it is enough to say that it is one of Australia’s most loved national sports. During a recent game, Phillip Hughes was hit with a cricket ball and never recovered. He was just days off his 26th birthday. In the same week, I had a friend die from the effects of Motor Neurone Disease (MND) or ALS to those in the States. As I also have this disease, I met Lloyd and his wife Adele at our local MND support group. I had the privilege of sharing my faith with him and praying with him to begin a relationship with God just weeks before His death. I have written blogs about death before, but today I want to focus on those left behind. The ones who sit in funerals, sort through clothing, write eulogies. I want to encourage you that in life’s most desperate moments that you can acquire a newfound value in life. I wonder, if that is true, do we live like it is? When we hear the words “precious and fragile”, many of us reflect on the fact that life in general is precious or fragile or that someone else’s life is fragile and precious. It’s easy to hear these words without personalising them. Let me do that for you: You are precious and you are fragile, you are one of a kind, valuable, not worthless. By fragile, I’m not talking about the resilience of the human spirit, in fact, I am constantly blown away by people’s resilience. I am talking about our earthly body, amazing in complexity and also not infallible. By precious, I’m not talking about lovely or superficial, I’m talking about rare, one of a kind, and uniquely destined for great things. I have been to many auctions in my life and I like watching auction shows on TV. It is true that the most fragile and precious articles more often hold the most value. Even if I wouldn’t buy it, someone else is willing to pay large sums– it’s all in the perspective of the buyer. Have you noticed how people treat things that are precious and fragile? It is with respect, with a sense of awe, wonder and love. The Bible also teaches us that we are wonderfully made and precious to God, and that we are His treasured possession. If we would understand our intrinsic value today, it would change the way we treat ourselves and the way we treat others. We would love our neighbour like we were made to. My challenge to you today is to see yourself as one-of-a-kind, and handle yourself with care. Then, see the people you are doing life with as equally valued, they are precious and fragile too.